With the aftershocks of the recent mortgage crisis, anxiety about inflation and a volatile economy, many Americans are concerned about enhancing the value of their homes. 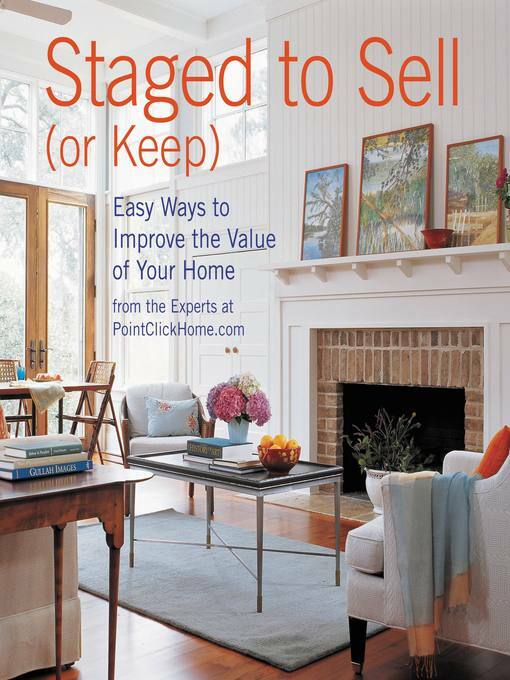 Whether you plan to continue living in your home, are determined to sell immediately, or want to increase its resale value for years down the road, Staged to Sell (or Keep) will show you how to look at and transform your home. Chapters will address room by room ways to improve the value of your home through paint, surface upgrades, fabrics and soft touches, furnishings and accents, lighting, clutter control and artistic and architectural focal points. Clearly organized, filled with photos of inspiring rooms, and brimming with expert tips, this book will help readers recognize the strengths and weaknesses of their home, and show them how to bring out its best. The ideas presented here can be done in an hour, an afternoon or over several months, depending on your timeframe and your budget. Like some of the best things in life, many of these improvements cost very little or are even free!